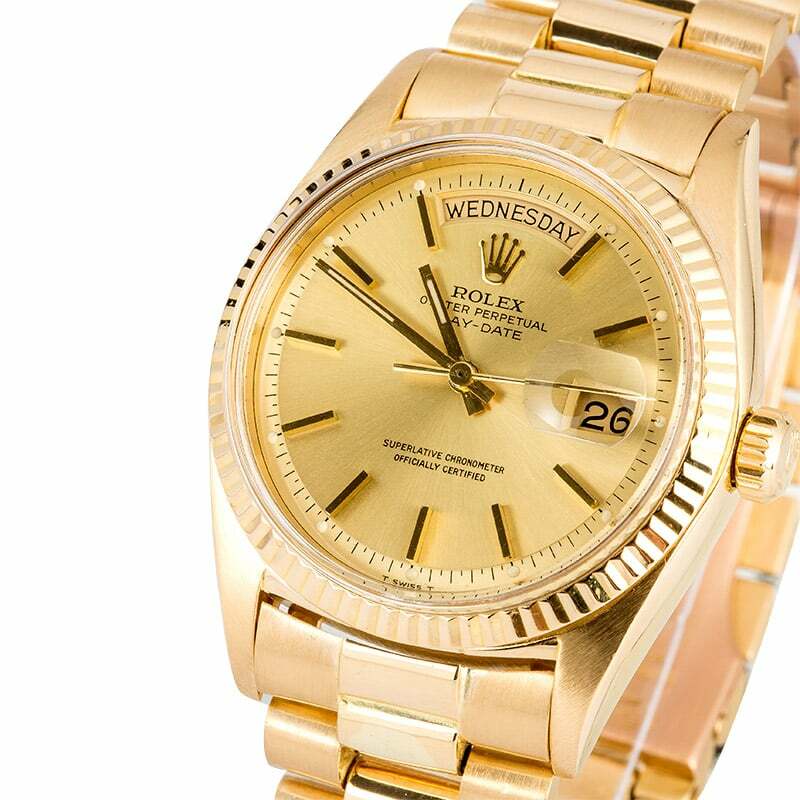 Comments: This Rolex Presidential Day-Date comes w/ Bob's 3 day satisfaction guarantee and one year warranty. Synonymous with class and power, the President Day-Date is an impressive addition to any watch collection. It received its nickname the "President" after appearing on the wrists of several influential men throughout history, most notably Presidents Roosevelt, Kennedy, and Reagan. The addition of the automatically changing date window along with the day spelled out in full also helped to launch the Day-Date into one of the most highly sought after dress watches on the market. The finest 18 karat yellow gold adorns the President bracelet and fluted bezel, adding to its opulent style. 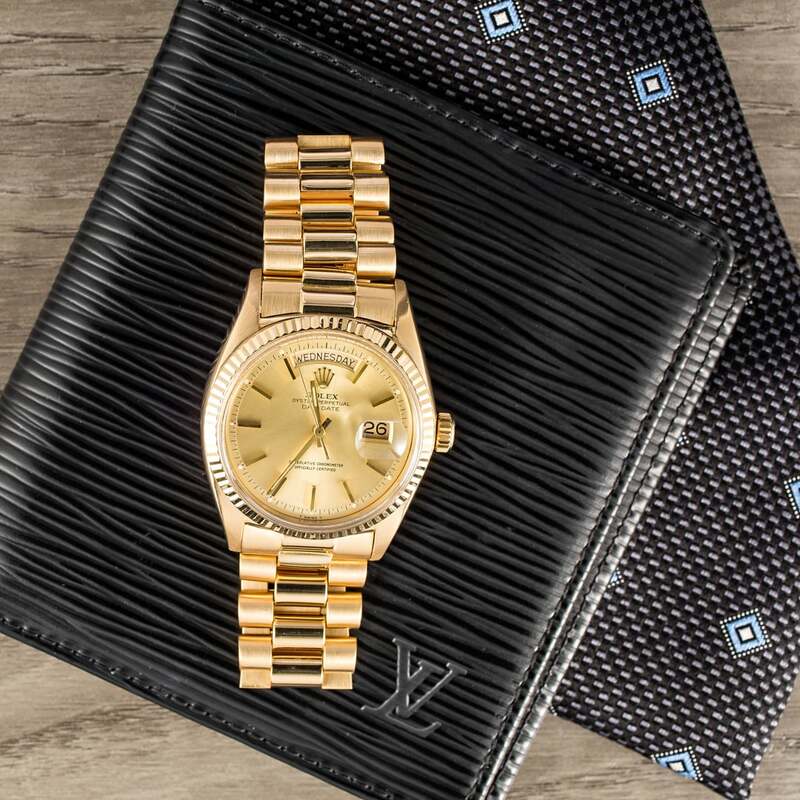 This is paired with the champagne dial that is set with yellow gold hour markers, giving it an all gold design that will look impressive at the office or dressed up for an elegant night out. Have purchased from you before … ALWAYS satisfied. Also, have dealt with Laura before. Extremely knowledgeable, personable and professional. I love it. My first Rolex. I would start collecting. And the shipping and delivery was super fast.